According to the note on Mom’s hand-written card, this recipe came from my great-aunt Helen. I’m not sure where she obtained it. This cake is the ultimate flavor of fall. It is the essence of spice, apples, harvest, and cool weather. I remember Mom would send me a care package each first semester I was in college. The only contents I remember was a full bundt cake – and I hoarded it! If I shared a slice with you… I considered you a very special friend. Peel, core, and chop apples. Set aside. Stir together flour, baking soda, baking powder, salt, and cinnamon. Set aside. In a large bowl, mix until creamy vegetable oil, sugar, and eggs. Add dry ingredients to the wet ingredients in small batches – beating well after each addition. Bake in a bundt pan at 350 degrees approximately 50-60 minutes. Supposedly the cake freezes well… but I’ve never had the opportunity to test this theory. This post is part of BethFishRead’s Weekend Cooking Link-Up. For more delicious recipes, please visit her weekly blog feature. What a precious memory, and especially that you have her recipe to continue the tradition. Yum! This sounds wonderful and perfect for fall. The apples are just starting to come in here and they're not the varieties I like but I'll have to hold onto this recipe until September or October when the orchards are full! Who would have any long enough to know it freezes well? It would take more self control than I have. Oh no! It must be fall. We aren't quite done with the softer tree fruits — plums, peaches… not ready for apples yet. But that cake would be a great way to go. 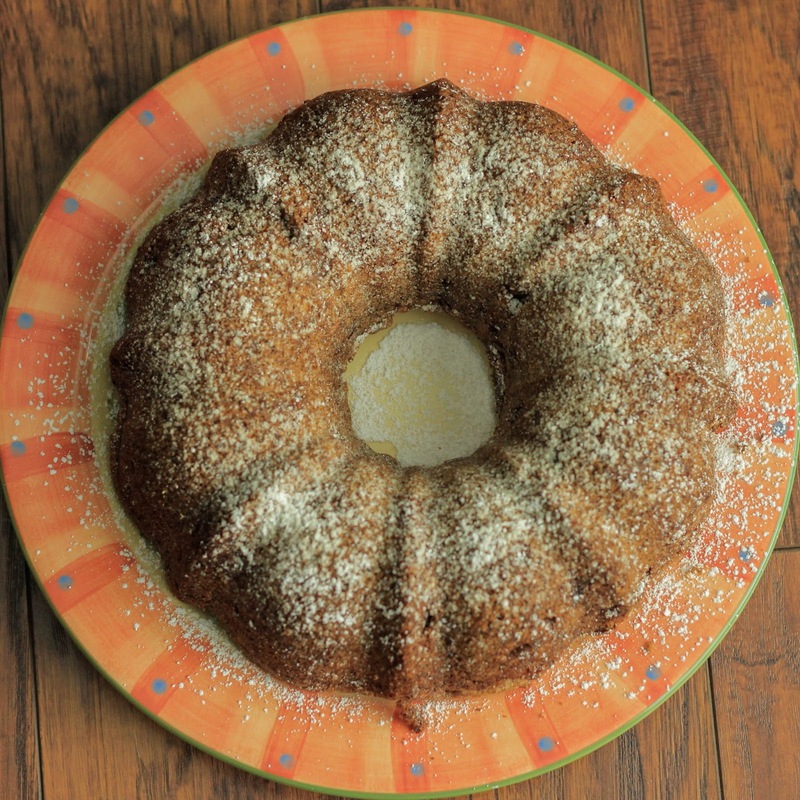 I've never made a bundt cake, but my mom made them all the time. I wish she was still here so I could ask her to make one. I always thought she was the best cook/baker ever! Family recipes are the absolute best! We are still in the midst of summer fruits here in the Midwest too. What a perfect dish for fall! Cakes have too much sodium for me (salt, soda, and powder all have it), so I like to convert these recipes to yeast breads. 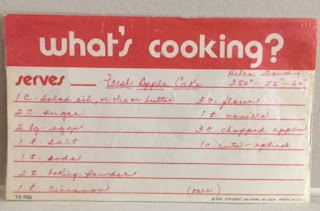 I've been using applesauce for that — I'm going to experiment with chopped apples. If you choose to modify the recipe for your dietary needs, I'd love to hear how it turns out!